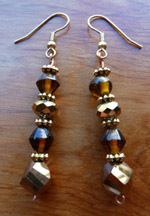 Click on the pictures to enlarge them..
Earrings - 3 Strand. Freshwater pearls, silver plate over stainless steel beads, silver plated earwires. $10 plus $5 shipping. 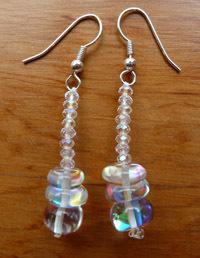 Earrings - Freeform peyote stitch. Freshwater pearls, moonstone, opalite and glass. Surgical steel earwires. $16 plus $5 shipping. 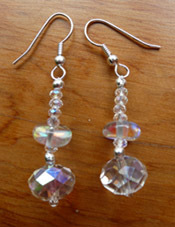 Earrings - 1 Strand. 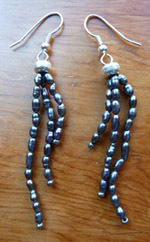 Glass, onyx and silver-plated beads, pewter spacers, surgical steel earwires. $10 plus $5 shipping. Earrings - 1 Strand. 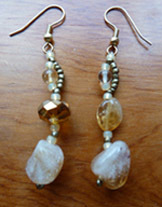 Citrine, crystal and glass beads. Gold plated earwires. $11 plus $5 shipping. Earrings - 1 Strand. Rainbow glass and glass seed beads. Silver-plated earwires. $10 plus $5 shipping. Earrings - 1 Strand. Crystal, rainbow glass and glass seed beads. Silver-plated earwires. $10 plus $5 shipping. Earrings - 1 Strand. 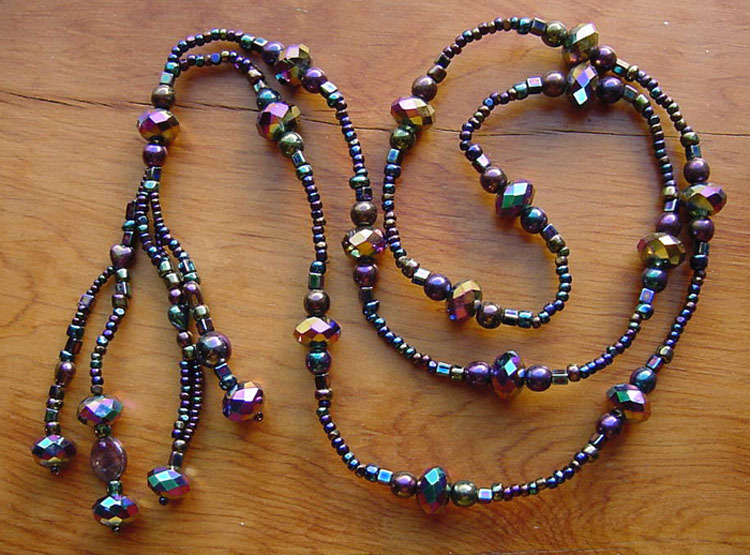 Glass and crystal beads. Gold tone pewter spacers. Copper eyepins. Gold plated earwires. $9 plus $5 shipping.